Fort Worth, Texas has been my home since 2006, but I was actually born and raised in Houston. There, I figured out what I wanted to do when I was only in grade school. An attorney came to present at my school, and something about the way she carried herself and the way she described her work really spoke to me. I knew then and there that I had found my calling. I was going to become an attorney and actively help people through my work. In what seemed like no time at all, I had graduated from the University of Houston and was getting ready for law school while taking care of my first — and, at the time, my only — son. Throughout law school, I worked as a paralegal for a prestigious firm in the DFW Metroplex but had my sights set much higher. And so, immediately after graduation, I founded my solo practice. My clients’ needs are number one. Period. If you haven’t guessed it already, I am not the kind of person who sits back or gives up. When I see a wrong, I step in to help make it right. And when I set my mind to something, I fight for it until I have achieved my goal. When it comes to my work, this mentality has served me — and, more importantly, my clients — very well over the years. Each time a person comes to me with a problem, my first instinct is to sit them down and have a straightforward conversation about their situation. During these discussions, I answer the person’s questions, offer moral support, and educate them on the aspects of the legal process that are likely to affect their case. From there, if they choose to retain me as their legal counsel, I continue to provide that same level of service throughout the entirety of our time working together. And, once their matter is resolved, I even connect my clients with useful resources and advise them on what they can do next in order to keep moving toward their long-term goals. When it’s all said and done, my clients walk away knowing they can call me the next time they run into a legal question or concern. 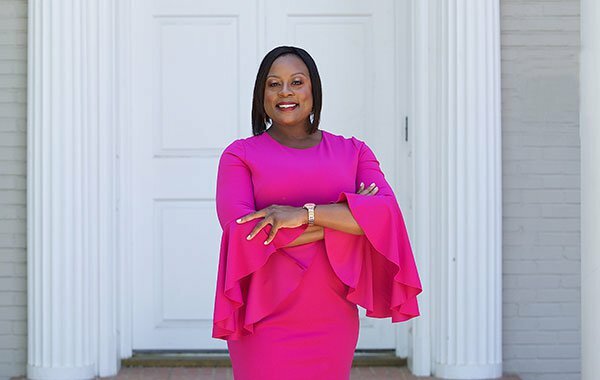 Since I established the Law Office of Crystal L. Gayden, my family has grown, my practice has flourished, and I have become extremely involved in bettering my community. In fact, I am an active member of the L. Clifford Davis Legal Association, as well as the Black Bar Association of Tarrant County. Outside of my career and community involvement, I am a dedicated wife and a proud football mom with a goal of making it on The Price is Right.